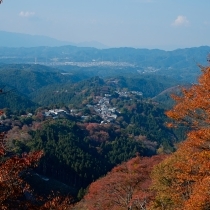 In Yoshino, it is possible to experience traditional Japanese culture. 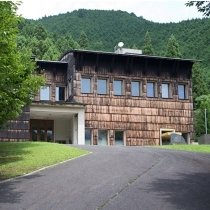 During your visit to Yoshino, if you lodge at Ryokan Kato on Mt. 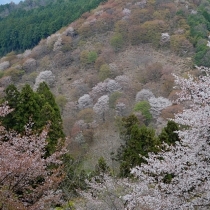 Yoshino, then you will be able to discover Japan with your body and soul through the following experiences and workshops. 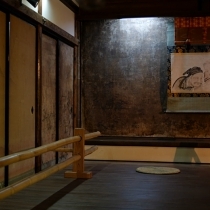 Have you ever done　Japanese calligraphy? 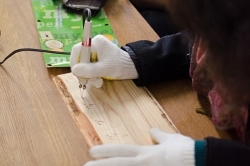 Most Japanese calligraphers know who Hiroyuki Fukunishi is. 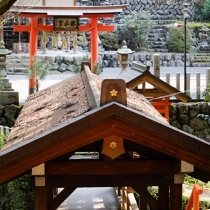 He lives in Kubogaito, and is known as a maker of Uda-gami, which is famous for its use in preservation techniques. 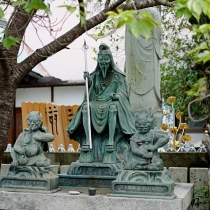 His son Masayuki is his successor. 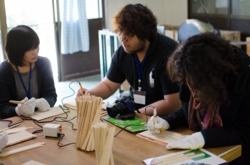 Together they make washi, handmade Japanese paper, using traditional manufacturing methods. Uda-gami is known as one of the highest quality types of paper in Japan, and the handmade paper of Hiroyuki and Masayuki is used in restoration projects to preserve and restore precious books and artifacts at the British Museum, the Louvre, and the Smithsonian. 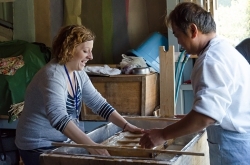 If you visit Yoshino, you can have the chance to make your own washi at their main shop, Fukunishi Washi Hompo(福西和紙本舗). Details: There are two parts to the workshop. 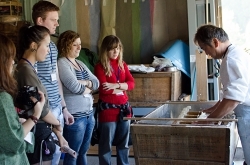 The first part is a lecture about washi with an English leaflet for reference. The second part is to make washi. Your original handmade paper will be sent to your home after drying. 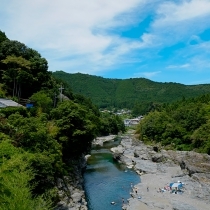 What do you think of waribashi? They are often negatively associated with being a waste of wood. 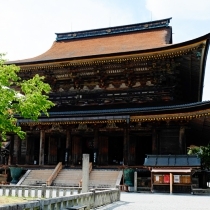 However, waribashi made in Yoshino were borne of the wisdom to efficiently utilize Yoshino cedar leftover from wood production. Once you have the chance to make your own waribashi at Yoshino Seihashi, you’ll surely be more supportive of them. Details: Groups of 3 or more people are welcome. There are two parts to the workshop. 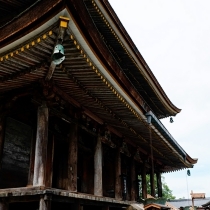 The first part is a lecture about waribashi with an English leaflet for reference. The other part is to make waribashi. Have you ever eaten genboku shitake? They taste so delicious that you'll surely fall in love with them. There are two main methods of cultivating shitake. One uses bacteria floors for cultivation, and the other uses raw wood, or genboku, to grow them. Mr. Okamoto cultivates his shitake using raw wood from Yoshino. You can try tasting his shitake grilled in virgin olive oil. 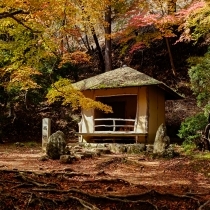 Depending on the season, collecting the genboku shitake is also possible. Details: Groups of 5 or more people are welcome. There are two parts to the workshop. 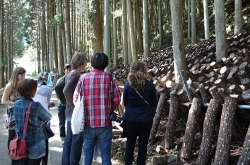 The first part is the collecting of genboku shiitake. The other part is learning how to bring out the full flavor of genboku shitake in cooking them. These days, tofu has become a popular health food all over the world. 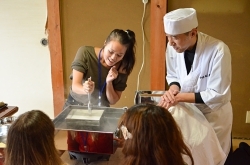 Mr. Hayashi produces tofu with domestically raised soybeans and pure water from Yoshino. 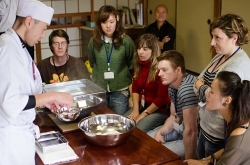 At his shop, you have the chance to make and taste your own tofu. 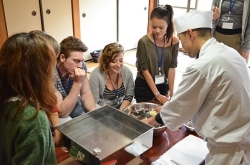 You’ll be exposed to the culture of traditional Japanese cuisine through making tofu in Yoshino. Details: Groups of 5 or more people are welcome. There are two parts to the workshop. The first is to make　your own tofu. The other is to taste your original tofu, as well as abura-age油揚げ(deep-fried tofu). Kudzu, or Japanese arrowroot, is known for its medical properties and recognized as an organic food. It is also one of the main ingredients in Japanese summer sweets. 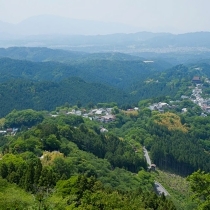 When people in Yoshino catch a cold, they drink a cup of kudzu-yu　(kudzu starch gruel)　to feel better. If you add hot water to kudzu, it becomes momentarily transparent. Mr. Nakai gives an amazing demonstration of this right before your eyes. 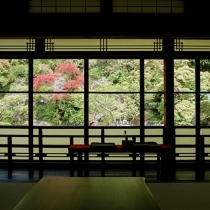 You’ll surely recognize the beauty of Japanese confectioneries　by visiting him at his store, Nakai Shumpu-do (中井春風堂). Details: Groups of 5 or more people are welcome. There are two parts to the workshop. The first is to make your own kudzu sweets. The other is to taste your original kudzu. 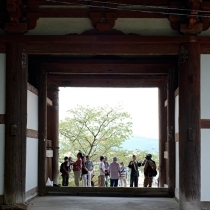 This workshop is held at Haku-un-so (白雲荘). 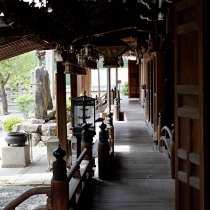 This villa is a beautiful example of Japanese architecture. 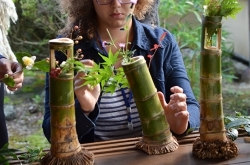 Mr. Onishi, a garden designer, will give you a lecture about Japanese gardens, and then teach you to make your own simple single-flower vase. 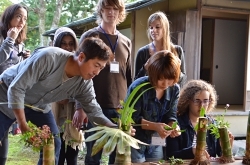 The theme of this workshop is to bring the nature of Yoshino back to your own home. 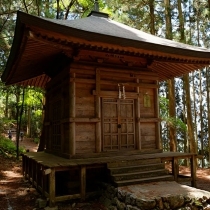 At the end of the workshop, you will be served matcha (powdered green tea) by Mr. Onishi while enjoying the garden at Haku-un-so. Details: Groups of 10 or more people are welcome. There are three parts to the workshop. 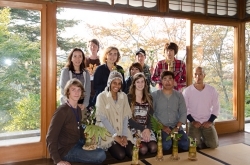 The first is to learn about Japanese gardens. The second is to make your own simple single-flower　vase. The last part is to have powdered green tea made by Mr. Onishi.